When UCStrategies was founded in 2006, we defined UC as "communications integrated to optimize business processes." Together with Don Van Doren, another of the UCStrategies co-founders, I began a consulting practice, UniComm Consulting, based on this principle. From the beginning, it was clear that the new capabilities of UC would have the most value when they could help a department, organization, or enterprise improve their processes and workflows. These improvements could enable a company go faster, use less, or be different, as we explained in a recent presentation. Our initial focus on business processes used value chain analysis as defined by Michael Porter of Harvard Business School in his 1986 book, Competitive Advantage (see chapter 2). This was very helpful to us and our clients, as we wrote in Business Communications Review in 2007. These value chain analyses highlighted the various types of employee roles that existed within each value chain element. For example, the Marketing and Sales value chain element has some collaborative workers (product marketing and promotional marketing) and some transactional workers (sales, sales support and order entry). This single value chain element has three very different sets of Unified Communications requirements: 1) for collaborative marketing people; 2) for interactive and mobile sales persons; and 3) for workflow-driven support staff and order processors. Within a few years, patterns of UC requirements became very clear, and we grouped them into a set of "Usage Profiles." A Usage Profile is a summary of the communications patterns and technology requirements for a group of users who work in similar business processes and have similar communication technology needs. Each Usage Profile has a different set of UC technology requirements. When these Usage Profiles are understood and applied in an organization, it becomes feasible to define a series of investments that can be laid out as a multi-year UC roadmap. This roadmap sequence of investments will almost always produce improved business results in a shorter period of time, with lower costs and lower risks than is produced by the typical PBX replacement project. We began writing about this in Information Week in 2014 (links on this page). Usage Profiles are described in, "Secrets to Unified Communications and Collaboration Success." 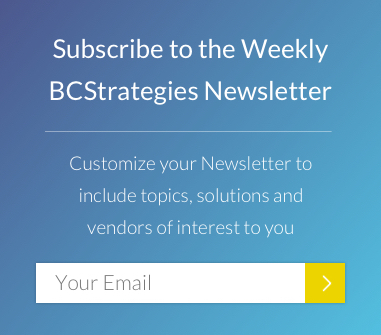 Over the next six weeks and leading up to a presentation at the BC Summit in early November, UniComm Consulting will publish a series of nine articles on UCStrategies.com that will describe eight role-based Usage Profiles plus a Foundational Usage Profile. These profiles cover well over 90% of all employee and contractor roles in the U.S., across all industries. Each Usage Profile will describe the primary work of that Usage Profile, where that Usage Profile occurs across vertical industry segments, the communication requirements for that Usage Profile, and how communications solutions for that Usage Profile will evolve from the past and current state to the immediate and near-term future state. We trust this series of articles will be useful to you for planning your Unified Communications investment roadmap as a public or private sector enterprise, as well as for the systems integrators and for UC technology producers who will assist in implementing that roadmap.